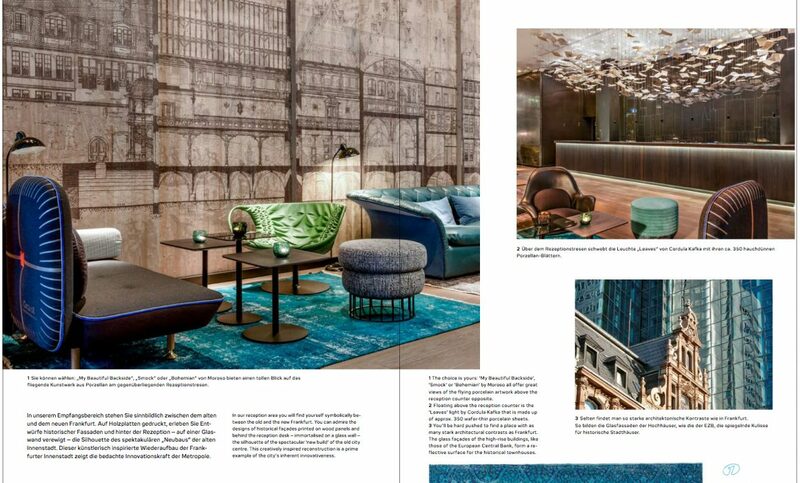 We’re excited to be featured in the freshest issue of One Design—Motel One’s Design Magazine. 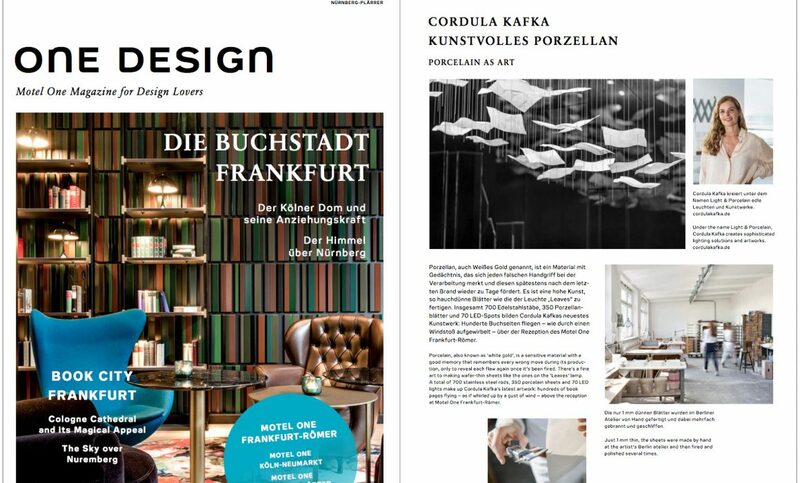 On display is the design concept and execution of the Hotel Motel One, Frankfurt Römer as well as a portrait of me and my work. Those who are interested can download a copy here. Few cities can pull of an architectural mix of old and new quite like Paris. But, just like your stereotypical Parisian who tends to ooze sensuality and style in that nonchalant way that only they can—the city effortlessly presents the sleekest in contemporary architecture alongside its Gallo-Roman, Romanesque, Baroque and Renaissance masterpieces. 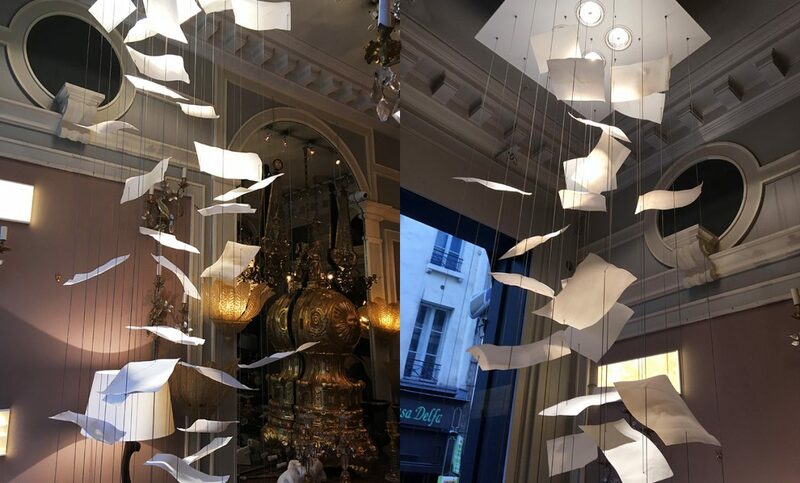 In an equally fluent manner, gallerist Xavier Delesalle of Gallery Delesalle curated and exhibited a selection of our lighting objects, VOO, LEAVES, TROU and DAYLIGHT, alongside his acclaimed collection of lighting objects from the 18th to 20th Century, as well as the work of artist Nour Awada. And not surprisingly, that famous French flair made the whole exhibition shine! Leaves has been breaking records in the recent months: after completing an installation covering 25 square-meters for Hotel Motel One Frankfurt—Römer at the end of last year, we start this year with a lofty version of this versatile light object. 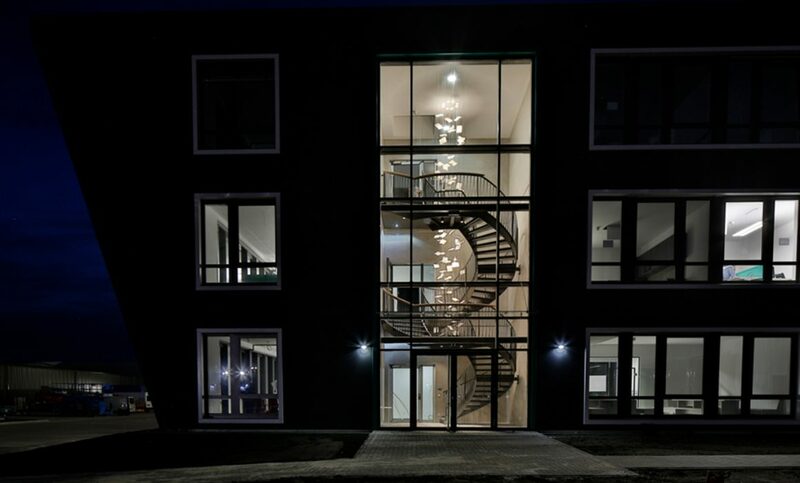 Our installation for InTime in Buchholz, Hamburg follows the entire centre axis of their spiral stairway. Thirty-seven eigth-metre long stainless steel rods, holding approximately one-hundred porcelain leaves are lit by eight recessed and four pendant LED spots. Founder and owner of InTime, Christoph Gienow, who runs the medium-sized logistics company with his wife Sylvia Gienow, is committed to design excellence in more ways than one. 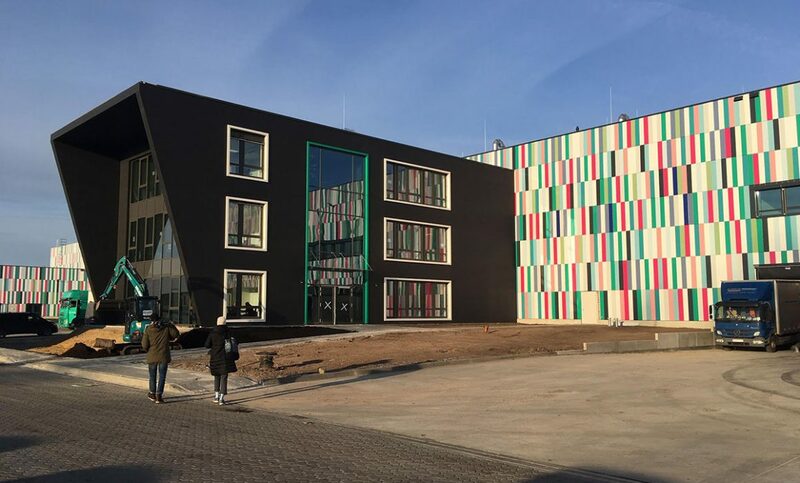 With a sustainable approach and appreciation for functional aesthetics, their new building stands out with its exceptionally modern architecture and chamfered silhouette—far from what you find in the typical, grey industrial lanscape; The construction’s elaborate façade consists of 14 850 vertical panels in eleven different colours, reflecting the company’s corporate identity. On the roof, a large-scale photovoltaic system generates electricity for the operation of the entire complex and—and perhaps, in future for its vehicle fleet as well. 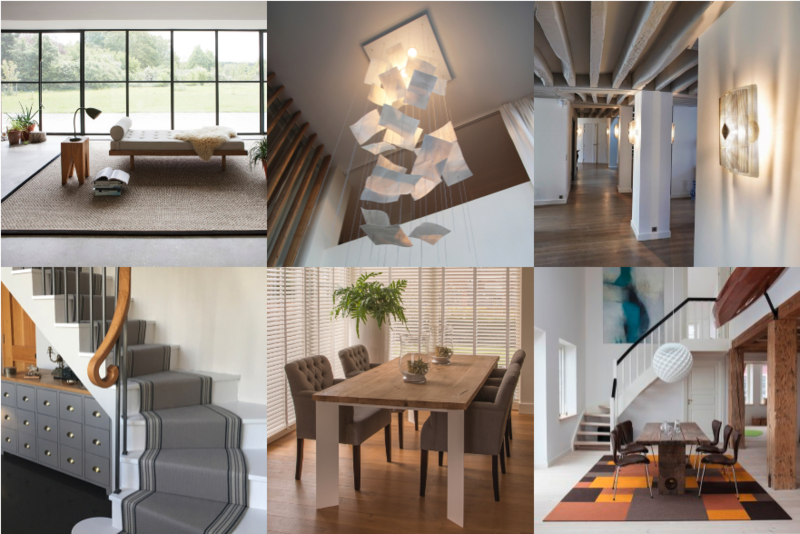 The interior of this energy efficient structure is also carefully considered and features several art and design pieces to enhance the atmosphere of each room. It was with this objective that Gienow came to Light + Building in Frankfurt to search out the perfect lighting for his new headquarters. 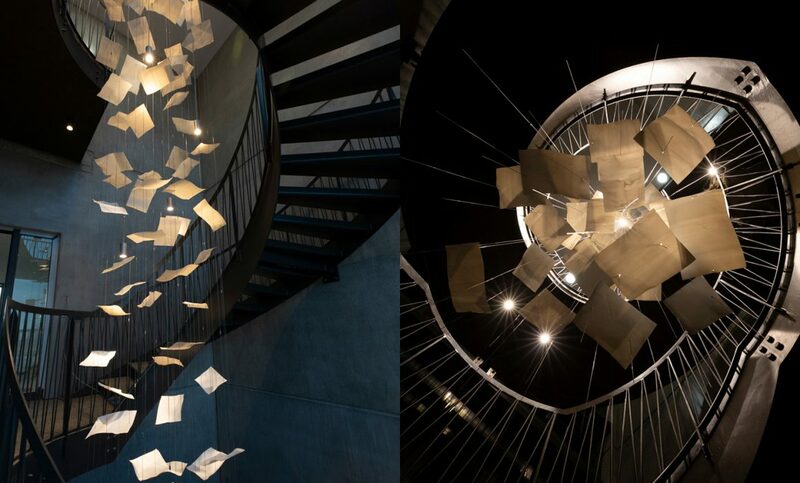 After he chose Leaves to adorn their massive spiral staircase, three Thincut lights were chosen to illuminate the conference table and create a visual continuity between the stairwell and conference room. See more photos of this project in our portfolio. 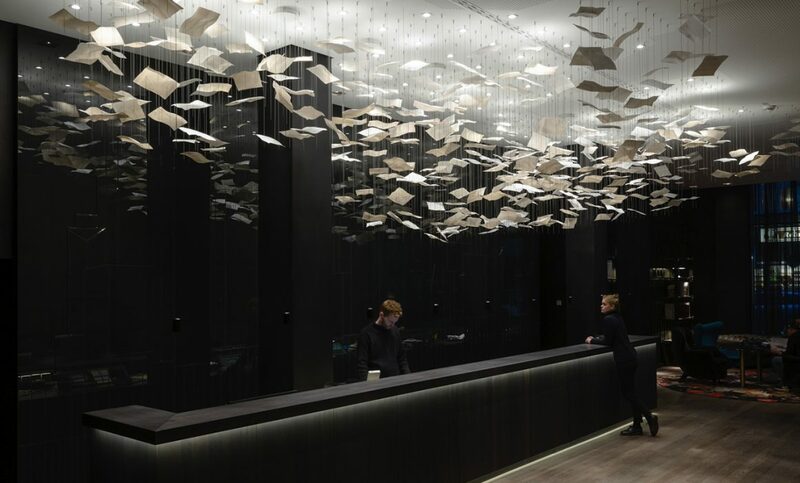 Leaves goes super-size: A total of 700 stainless steel rods, 350 porcelain leaves and 70 LED spots make up our newest installation for the Hotel Motel One Frankfurt – Römer. Located directly on the Büchergasse (Book Ally) in the Old Town of Frankfurt, the architecture and design of the hotel thematically references the long history of the Frankfurt Book Fair. 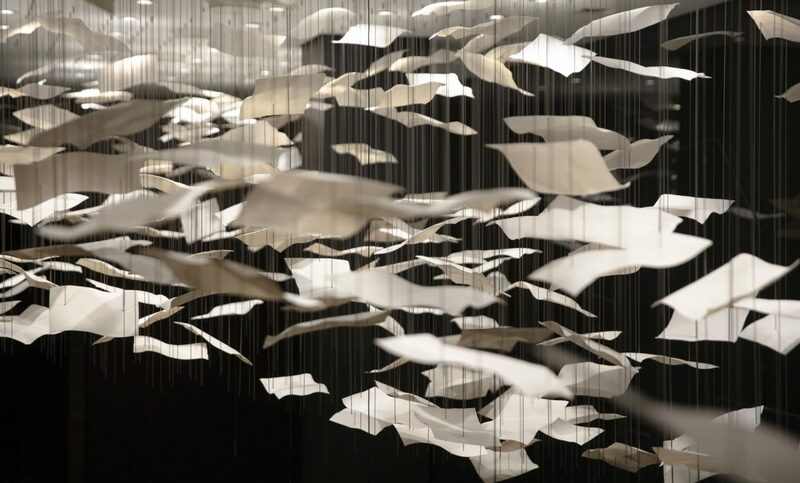 Responding to this concept with a massive version of our Leaves light object, a cluster of porcelain sheets, simulating book pages, frozen and floating in space, establishes an ethereal atmosphere around the lobby area. This project was executed in collaboration with Architect Barbara Wild / Motel One. 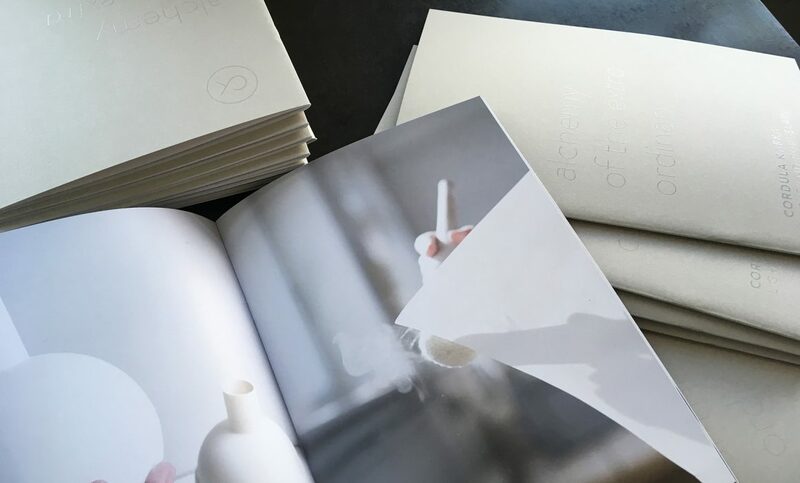 I’m delighted to inform you of our newest output: The booklet, Alchemy of the extra-ordinary, gives an exclusive glimpse into our production process; the transformation of water and minerals into white gold. 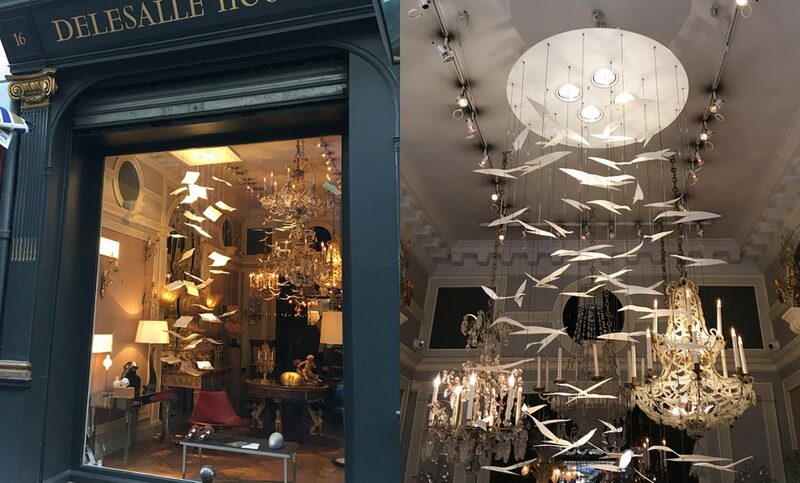 We make use of traditional techniques combined with new technologies to produce timeless lighting objects of the highest quality. We hope you enjoy this sneak preview. 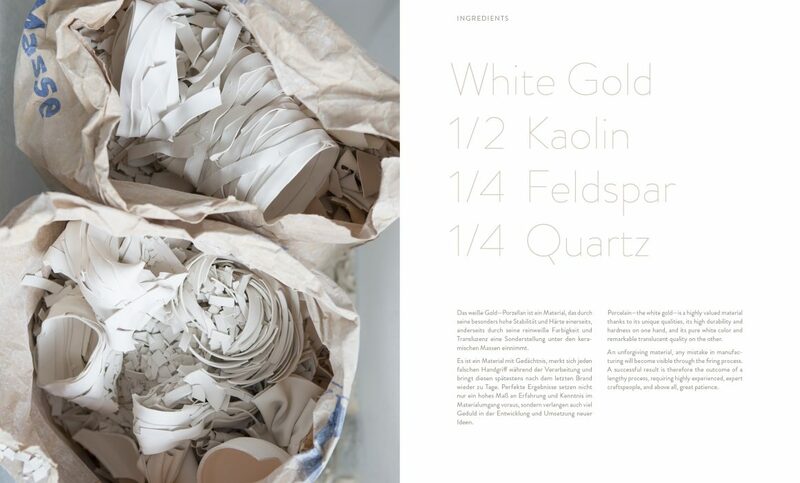 If you wish to be further illuminated in regards to our process, please write to kontakt@cordulakafka.de to request a pdf or hard copy.